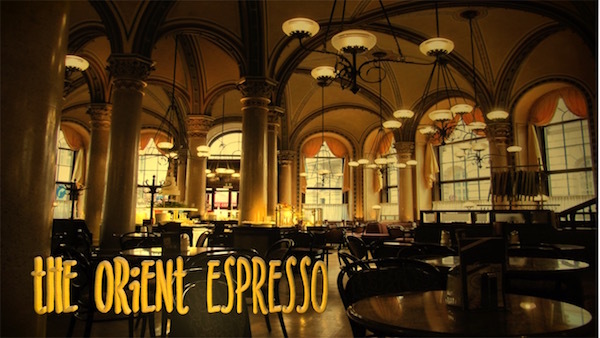 This coffee shop becomes the Viennese heart of this story which has cultural and geographic roots in Switzerland(Berner Oberland), Ireland(Galway), England(London), Russia(Archangel) and Turkey(Konya). Principal characters are people who shared their senior year in high school at the International School of Brussels and are brought together twenty five years later for this story about an international scavenger hunt, whose beginning and dénouement occur in the mountains surrounding Mürren in Switzerland. In the course of the story, characters discover, during encounters in gardens and landscapes, clues that lead them through a strange ethnobotanical world into an understanding why the protagonist invited them to participate in the scavenger hunt.